Three ways to achieve clean, clear glass! The Stoner Invisible Glass Complete Bundle is a comprehensive glass cleaning kit for anyone who wants to achieve clean, clear, protected glass. The non-streaking cleaner cleans glass so well, it looks invisible. Invisible Glass is packaged in an aerosol spray, convenient wipes , and a rain repellent pump spray. Get all three plus the Invisible Glass Reach & Clean Tool in the Stoner Invisible Glass Complete Bundle! Each 7 x 12 inch wipe is saturated in powerful Invisible Glass cleaner. The flip top canister keeps the wipes moist until you need them. Stoner Invisible Glass Wipes are perfect for cleaning on the go. No towel required! One canister includes 28 wipes. This is the original Invisible Glass. The aerosol spray releases a powerful foam glass cleaner that removes road grime and films on the inside and outside glass. 19 oz. aerosol. This towel is excellent for windshields, windows, rear view and side view mirrors. So gentle and non-abrasive, these cloths are the ideal choice when cleaning plastic windshields, delicate instrument panels, all plastics, and even window tint films. Highly absorbent they gently scrub away dirt and grime to leave all surfaces sparkling clean. 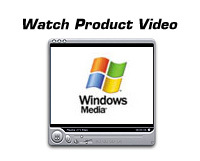 works on any glass surface! 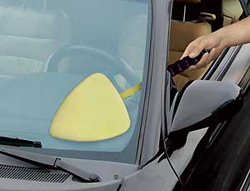 Reach the center of SUV and truck windshields.. Clean the corners of the windshield and back window. The Stoner Invisible Glass Reach & Clean Tool includes a microfiber cleaning bonnet, a multi-purpose terry cloth bonnet, and a nylon mesh bug bonnet. Each of the bonnets is reusable, reversible, and washable. 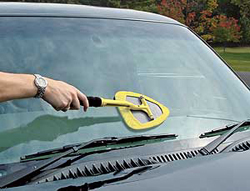 The Stoner Invisible Glass Reach & Clean Combo is useful on all vehicles, RVs, and even boats. The long arm of the Reach & Clean Tool allows you to reach further and clean better. Explore all the varieties of Invisible Glass with the Stoner Invisible Glass Complete Bundle. A total retail value of $41.95. Save $1.99!